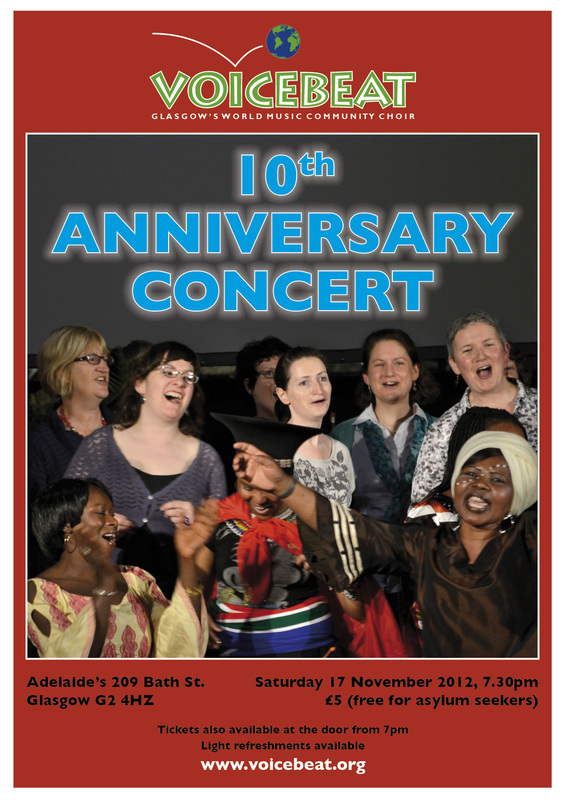 Voicebeat marks its tenth year in 2012/13. We started the celebrations with a concert in one of Glasgow's most attractive musical venues, looking back over the history of the group, which was founded in the winter of 2002 by Jane Tomlinson. More about this exciting venue here. 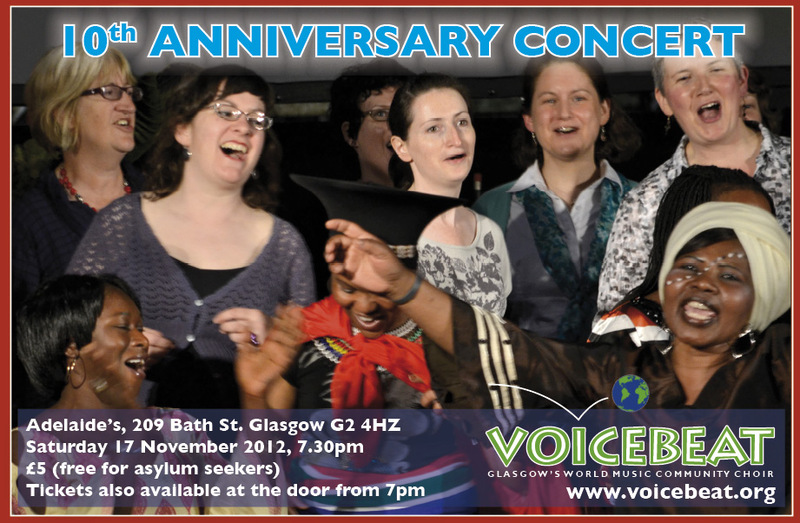 Here is the poster/flyer in jpg format plus an alternative landscape-format version, designed by Tom Malone using a photo by Ewan Paterson from our June 2012 concert with the African choir Voice of Hope. Click on the pictures for the full-size image. The concert was the launch of our new CD, "Swell the Sound", which costs just £5 for 12 tracks and is also available to download from Bandcamp.com. More here.